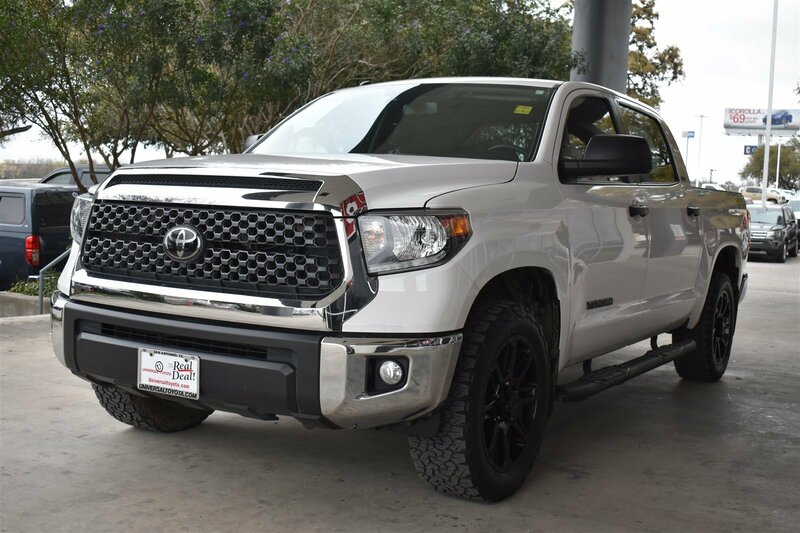 Drivers only for this dominant and agile 2018 Toyota Tundra 2WD SR5. Take pleasure in the silky smooth shifting from the Automatic transmission paired with this precision tuned Regular Unleaded V-8 4.6 L/281 engine. Boasting an amazing amount of torque, this vehicle is waiting for a commanding driver! It's loaded with the following options: Wheels: 18 x 8J Styled Steel, Wheels w/Silver Accents w/Hub Covers, Variable Intermittent Wipers w/Heated Wiper Park, Urethane Gear Shift Knob, Turn-By-Turn Navigation Directions, Transmission: Electronic 6-Speed Automatic w/OD, Transmission w/Sequential Shift Control, Toyota Safety Sense P, Tires: P255/70R18 AS BSW, and Tailgate Rear Cargo Access. 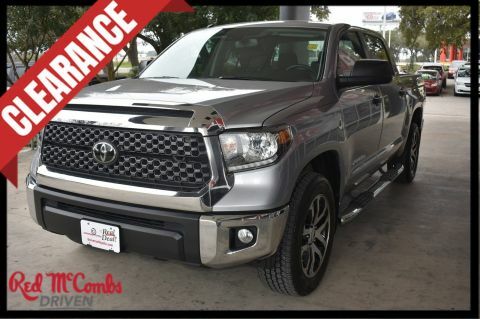 Cruise for miles in this fabulous and whimsical Toyota Tundra 2WD. Visit Red McCombs Universal Toyota located at 12102 IH 35 North, San Antonio, TX 78233 for a hassle-free deal!